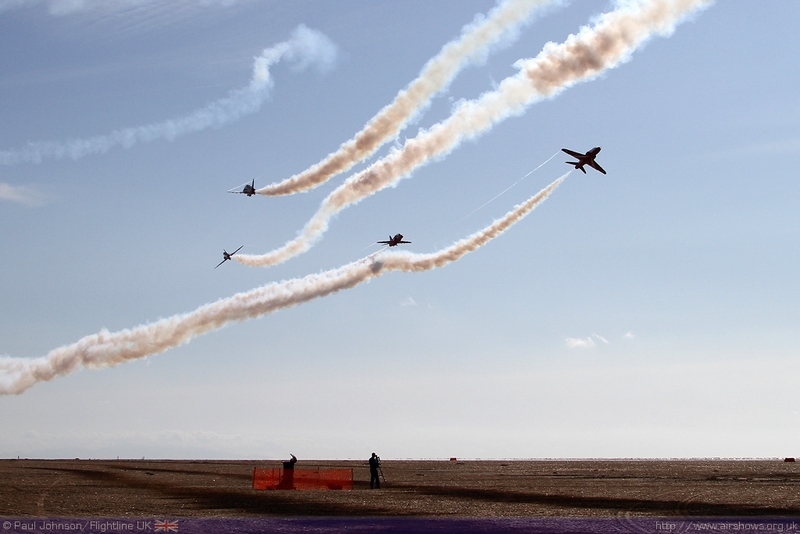 The first of the summer holiday seaside shows this year was the Southport Airshow on the North West coast. 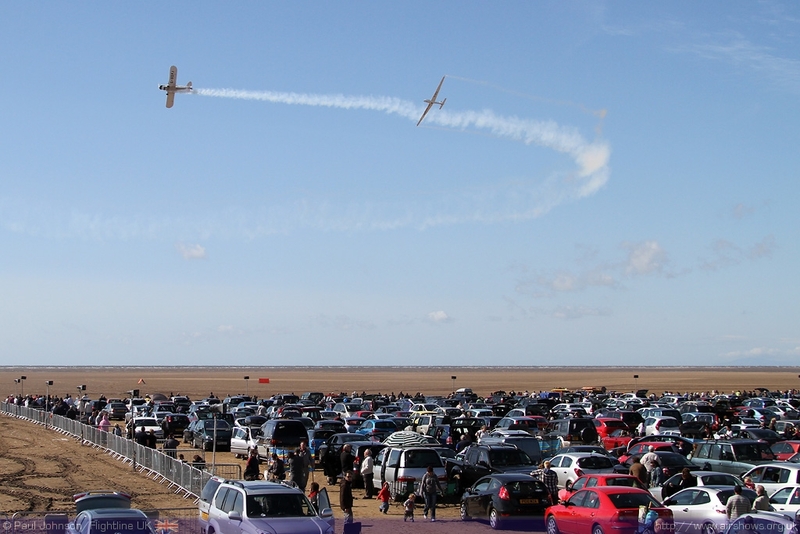 Southport is a unique event being staged over the expansive sands off Southport which provide a runway to light aircraft and a stunning backdrop to the flying. 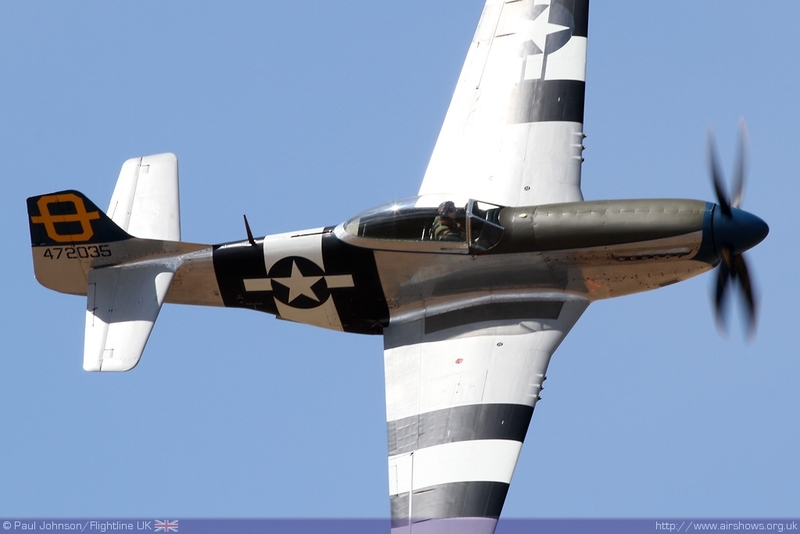 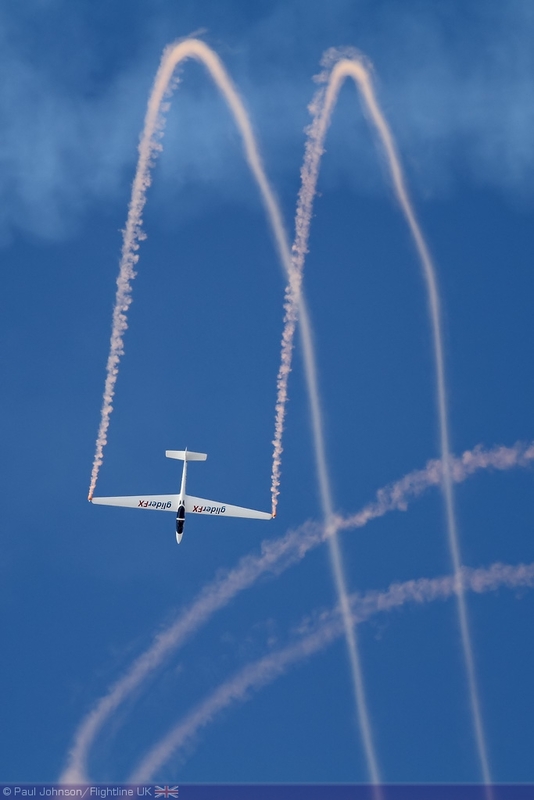 This year the show celebrated its own 20th Anniversary with an excellent flying display covering everything from stomach churning aerobatics to modern military role demonstrations. 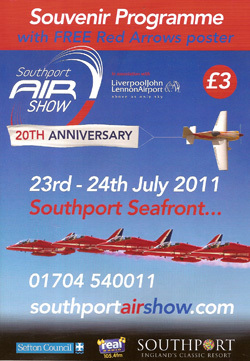 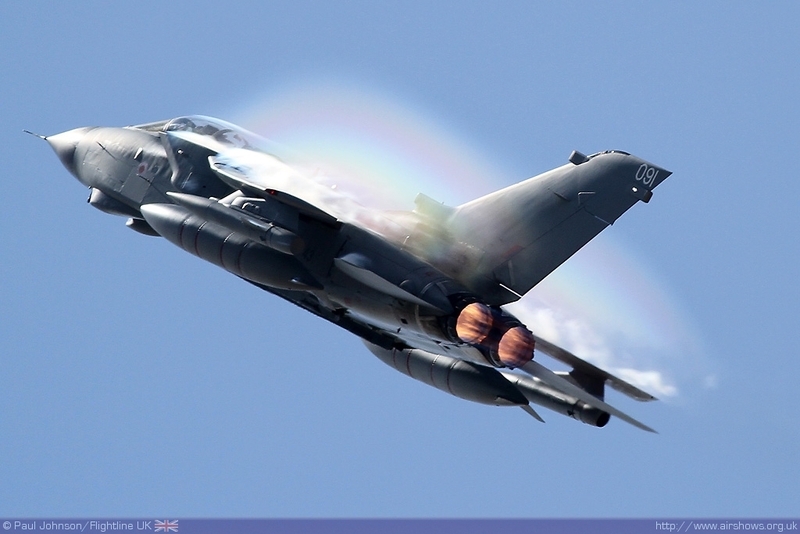 Southport is one of my favourite airshow venues in the UK. The massive area of sands, the pier and Blackpool in the distance make for a stunning backdrop for a flying display. 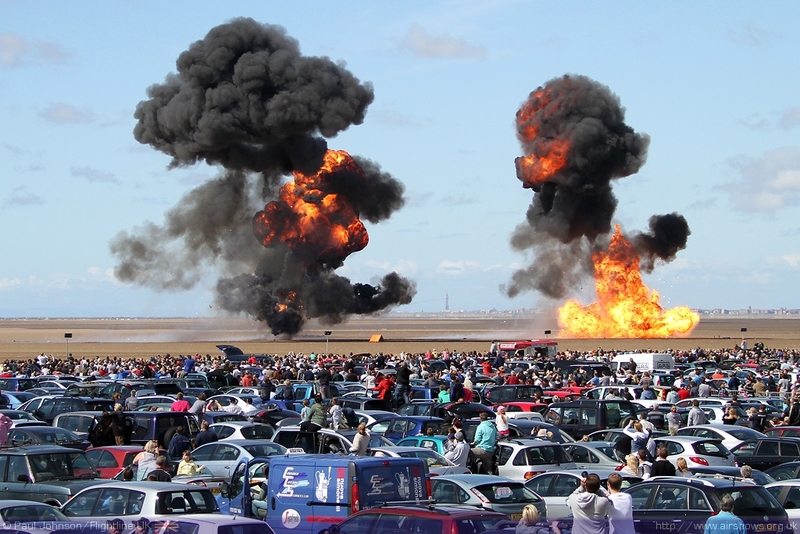 Unlike many seaside venues, a small charge of £7/person is made to view the show from the showground, but for that visitors enjoy a flying display that would cost a lot more at some of the more traditional airfield based shows. 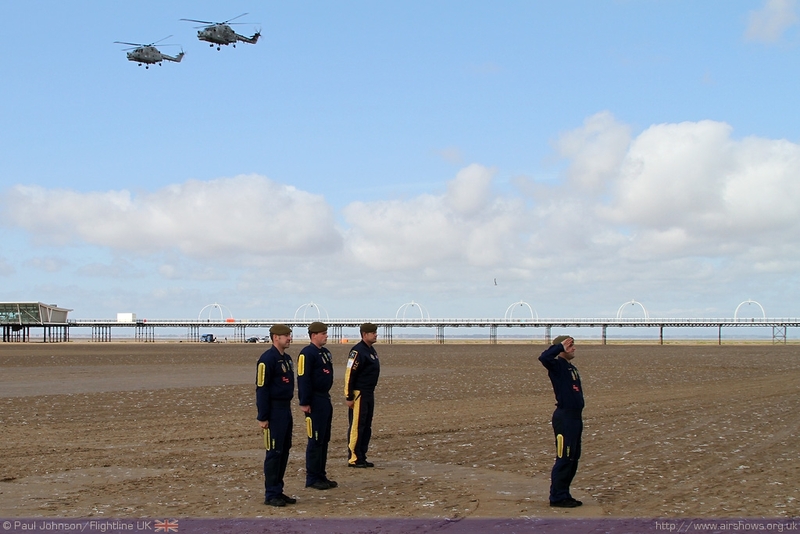 The sands, when dry enough, allow for the construction of temporary runways. 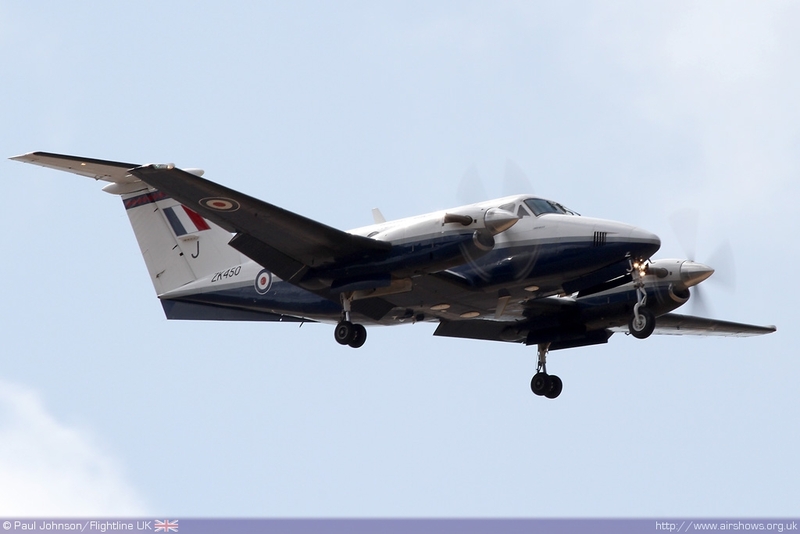 In fact Birkdale Sands are recognised in aeronautical charts as a landing site and have a long history in providing air transport and pleasure flights to the local area. 2011 saw the show move to an unusual slot in the display calendar of late July due to the tides but the move was rewarded by two beautiful days of bright sunshine and blue skies allowing for full flying displays. 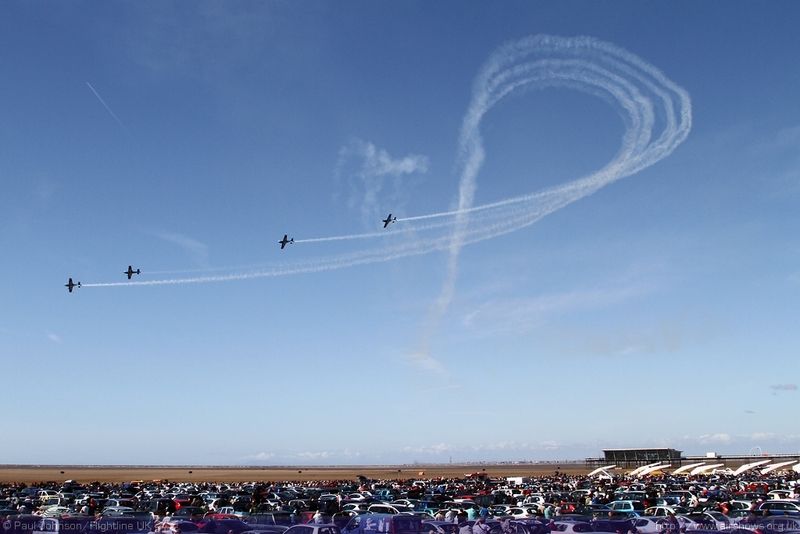 The good weather also attracted huge crowds with the promenade and beaches being absolutely packed on both days. 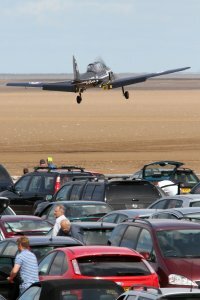 The runways provide a landing area for an impressive fly-in of microlights and some vintage aircraft which adds a unique element to this seaside airshow. 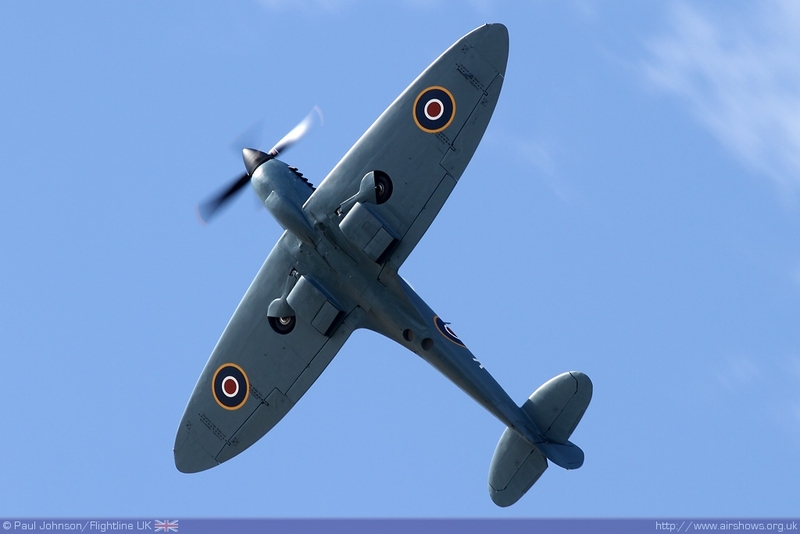 Southport attracted good support from the military in the air and on the ground. 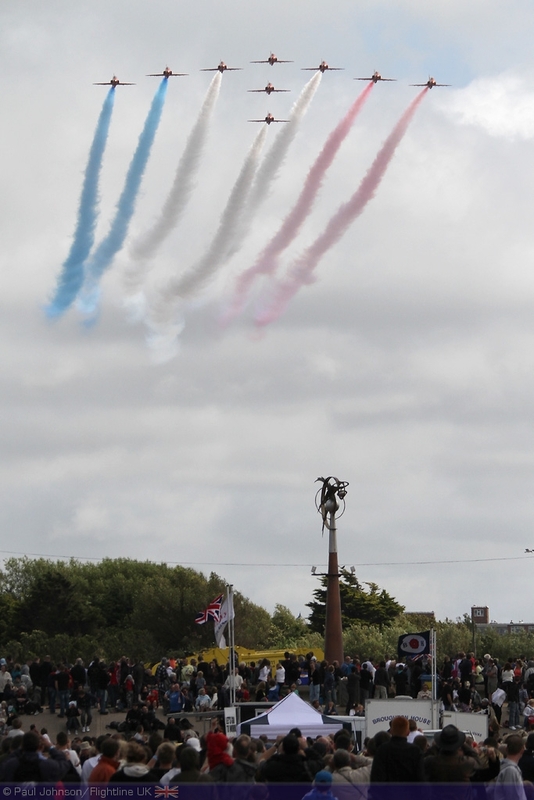 The British Army, Royal Navy and Royal Air Force all had significant ground exhibits as well as presence in the flying displays. 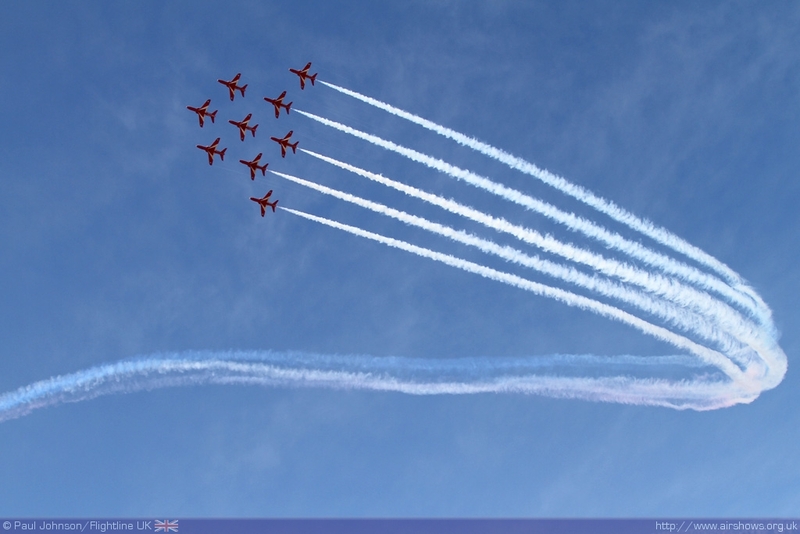 The Red Arrows headlined the RAF participation performing on both days of the show in near perfect conditions allowing a full display on the Saturday. 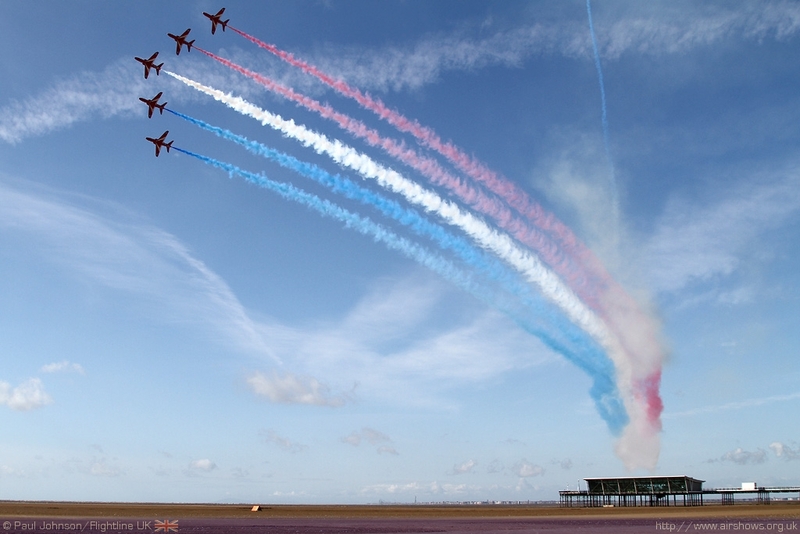 The team operate from Blackpool for the weekend and their spectacular arrivals at the airport could be seen in the distance from Southport! 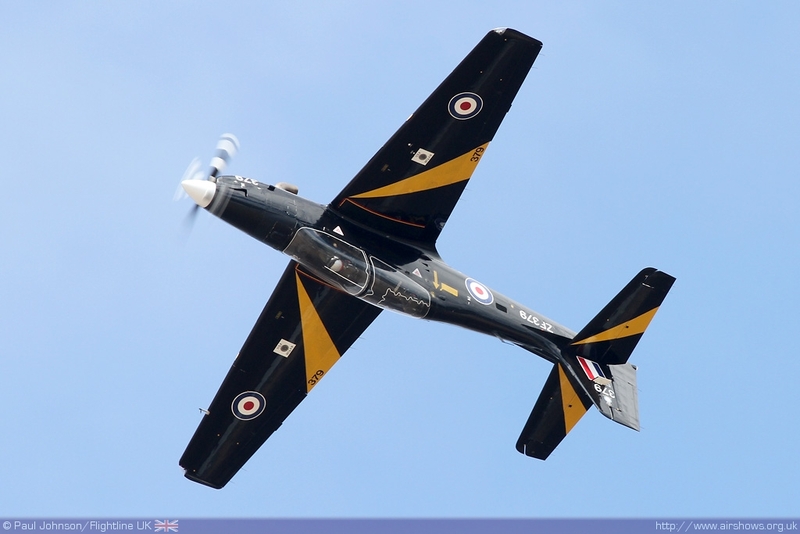 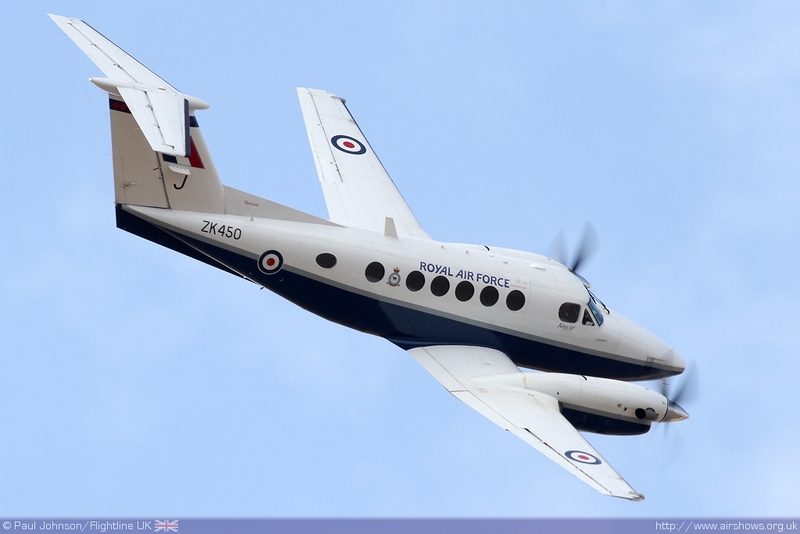 The Royal Air Force was also represented by solo displays from the Tutor T1, Tucano T1, King Air B200 and Hawk T1 in the flying displays. 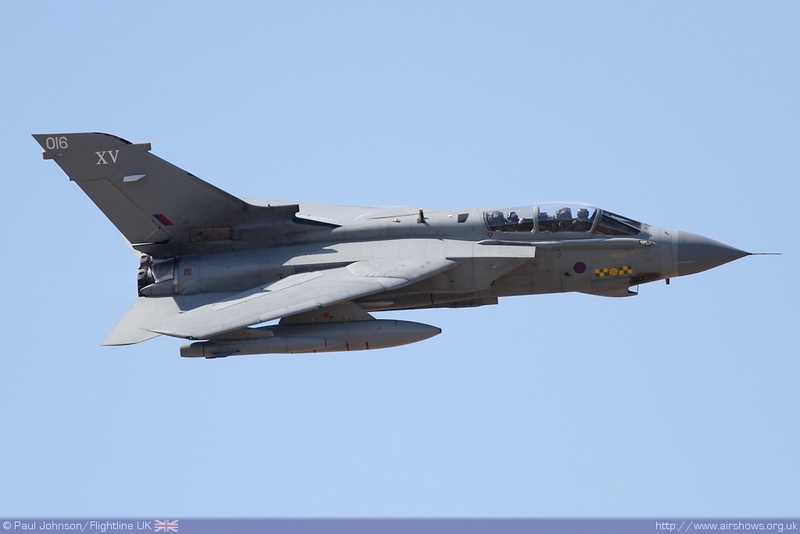 One of the highlights of the flying programme were the two Tornado GR4s from the XV Squadron Role Demonstration team complete with pyrotechnics. 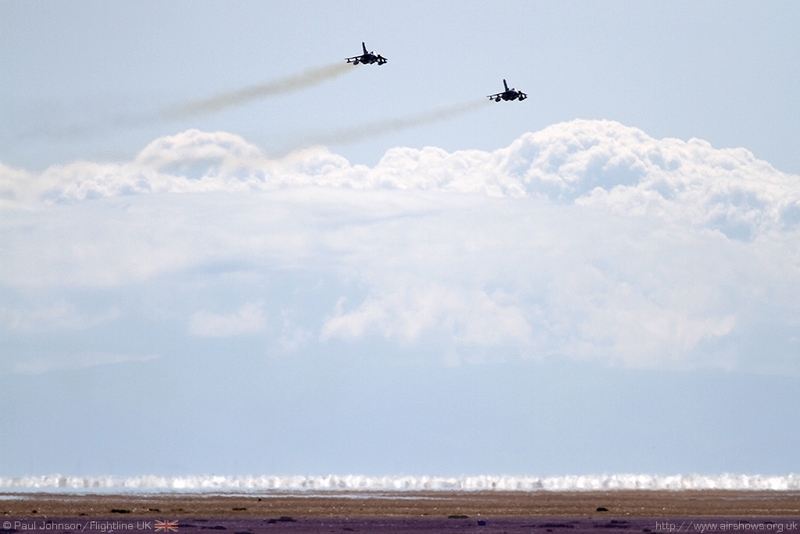 The sand added something of a desert feel to the flying and the perfect surface for the pyrotechnic special effects. 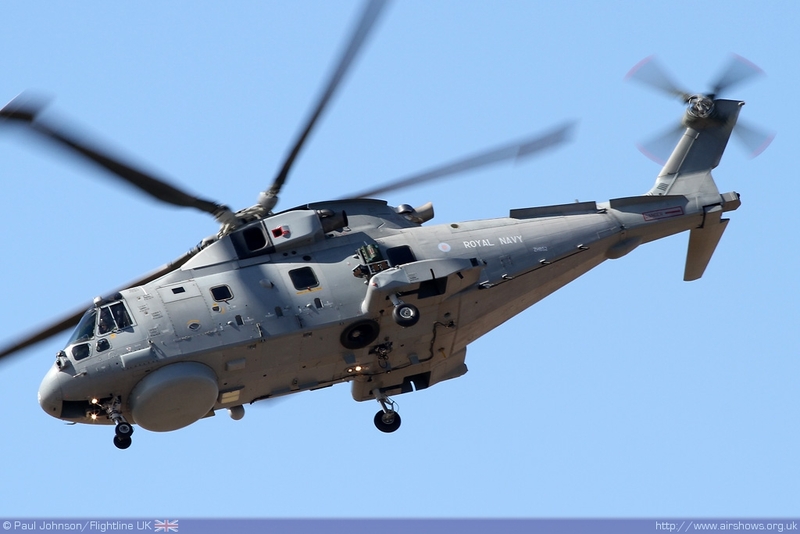 Thanks to close ties with Liverpool, Southport also enjoyed strong support from the Royal Navy. 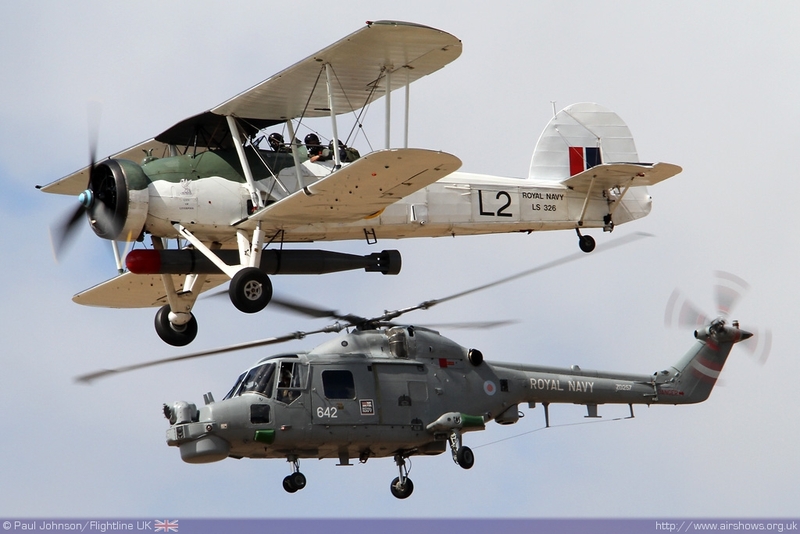 The Royal Navy Historic Flight’s Fairey Swordfish made a very welcome return to Southport and on the Sunday appeared alongside the two Westland Lynx HMA8 of the Black Cats Helicopter Display Team for a special flypast. 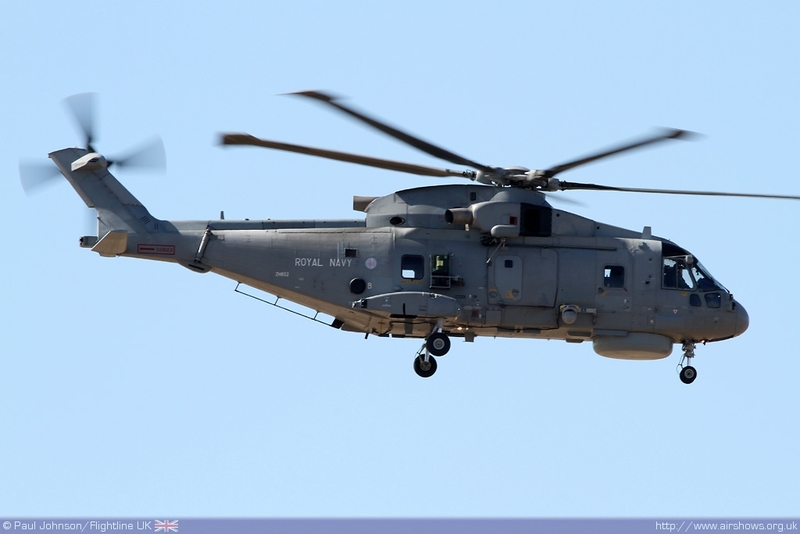 The Black Cats also performed in their own right and further helicopter action came from the mighty Merlin HM1 from RNAS Culdrose which just made it to Southport having suffered some technical difficulties on the way up from Cornwall. 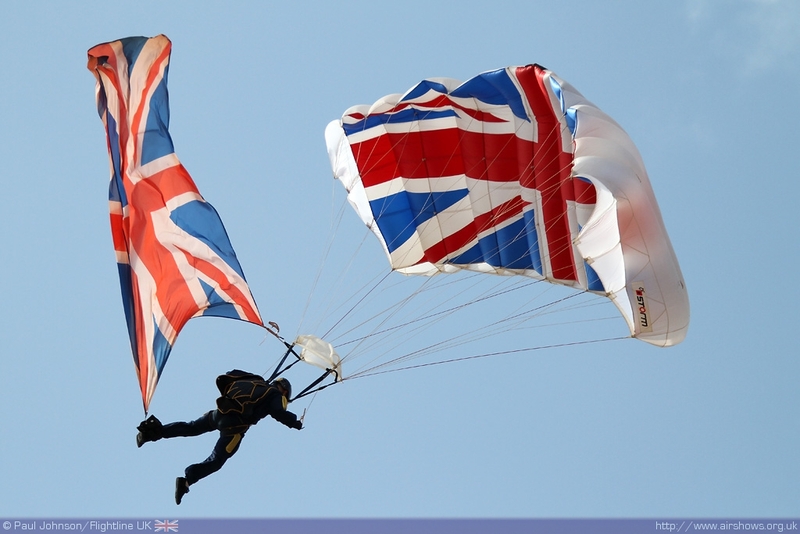 The British Army’s contribution was the Tigers Parachute Display Team from the Princess of Wales Royal Regiment. 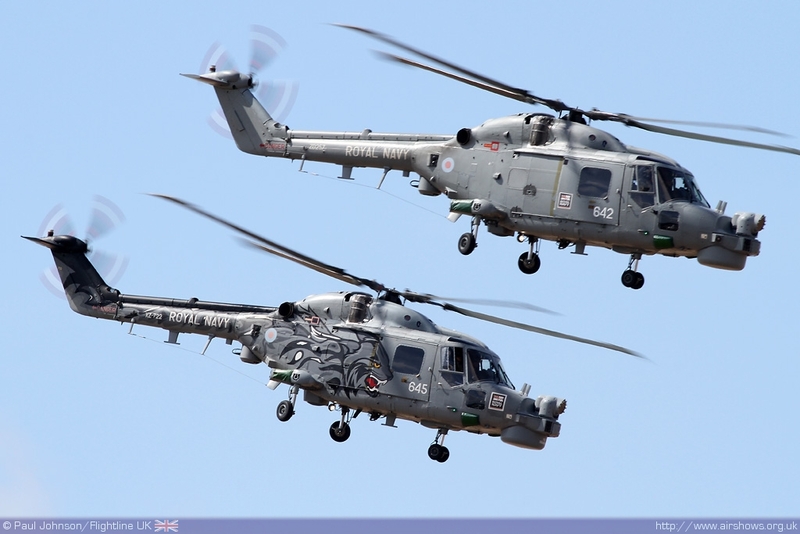 Their display was something of a display of inter-service operations as they jumped from the two Royal Navy Lynx helicopters. 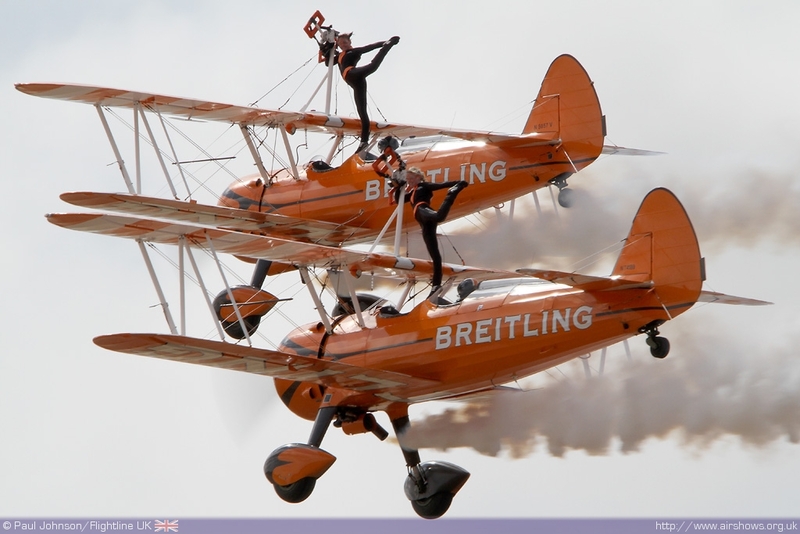 As with all seaside shows, variety is key to the entertainment and Southport had some of best modern civilian acts on the circuit. 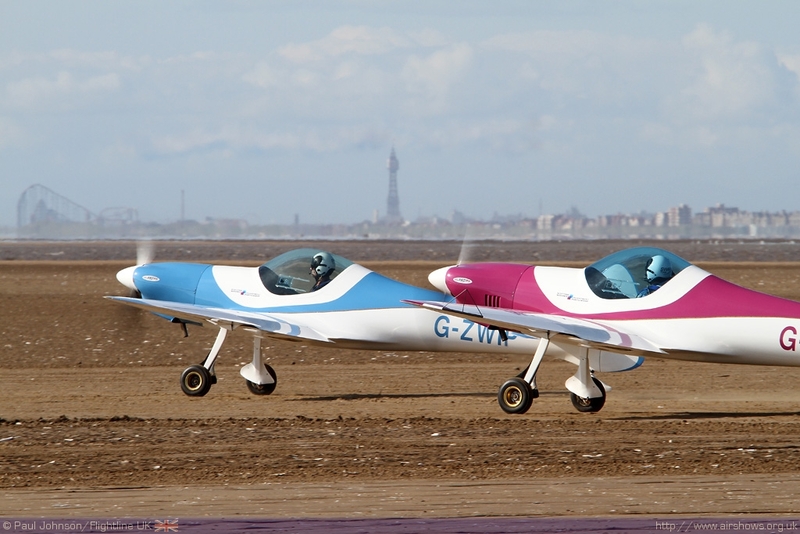 The SWIP Team made their Southport debut operating from the beach runways on both days. 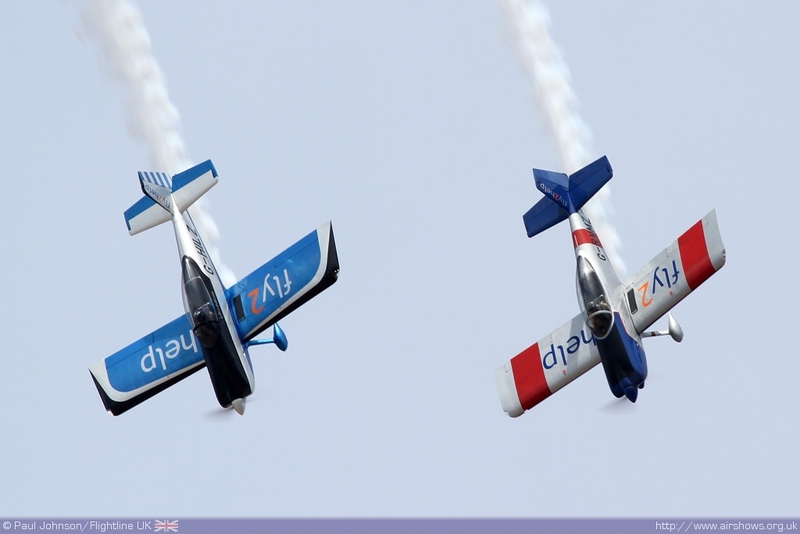 Another great duo act at Southport was the fast paced RV8tors in their colourful pair of Vans RV8. 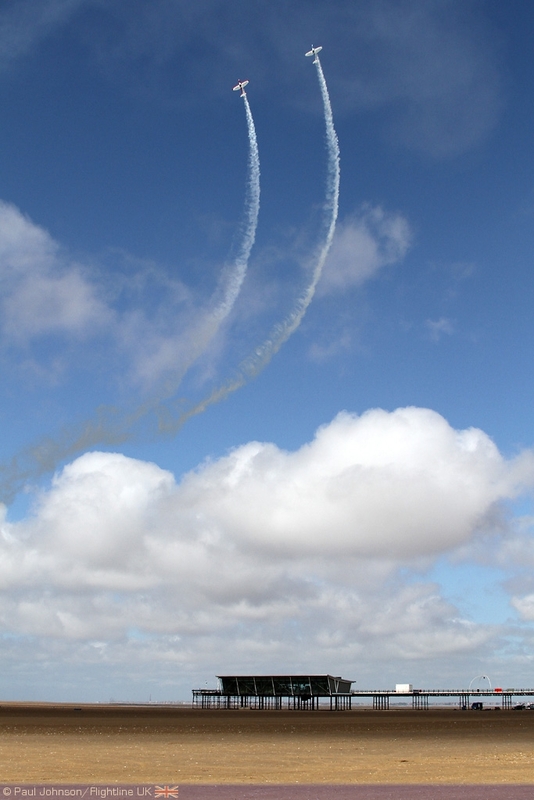 Like the SWIP Team they were able to operate from the sands in front of the crowd on the Sunday. 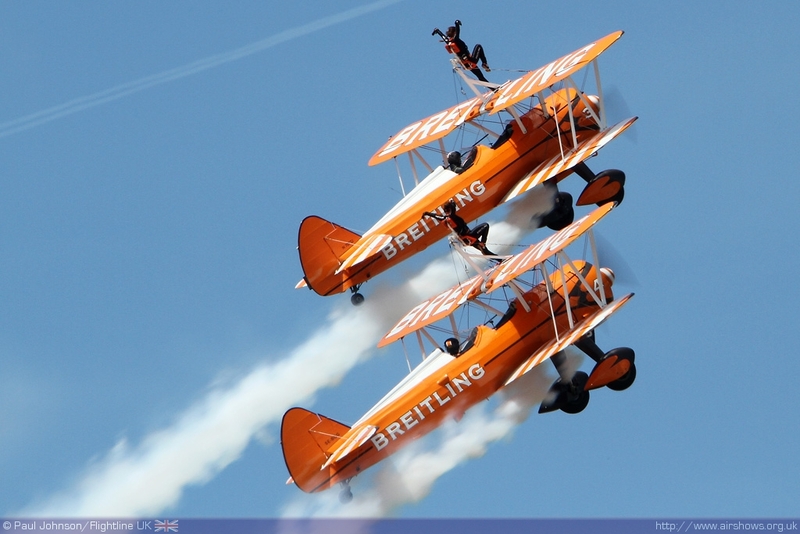 The Blades also appeared on both days with their dazzling display of precise formation aerobatics and the blue skies were also perfect conditions for the Breitling Wingwalkers Team which provide some great entertainment with their duo display. 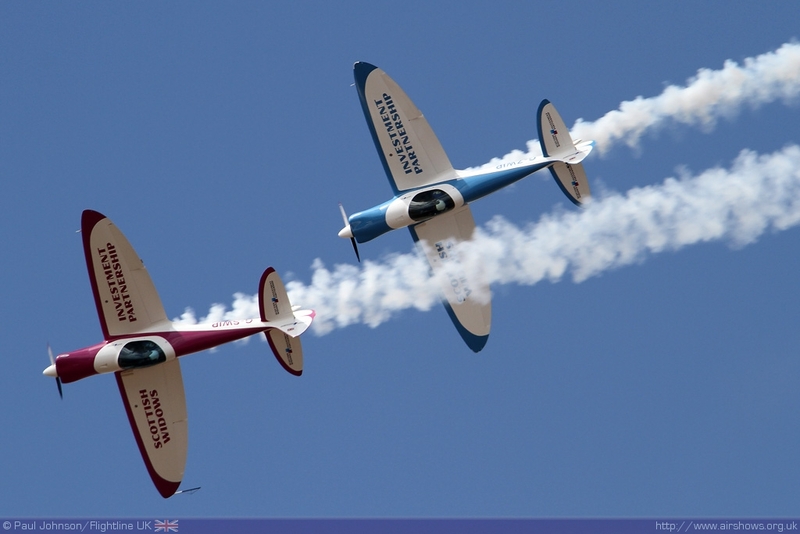 The pinnacle of the aerobatic art with and without power was also on display. 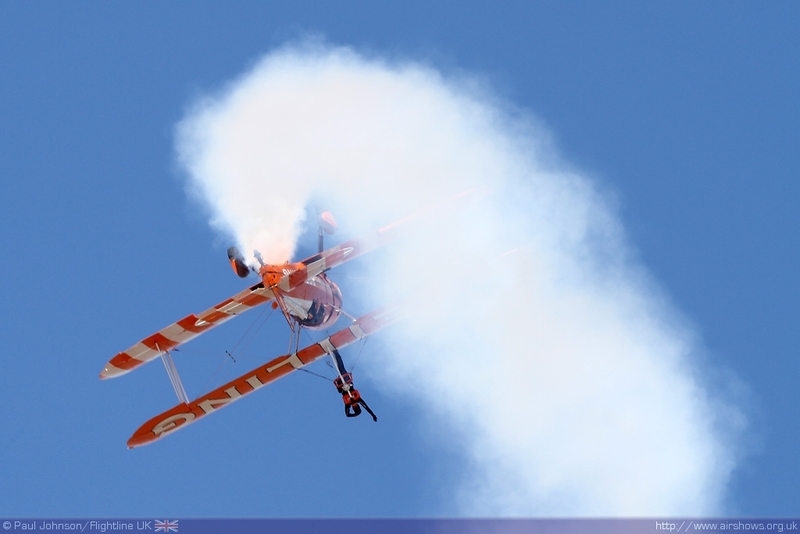 Gerald Cooper put in a fantastic display in an unfamiliar mount, the Edge 360. 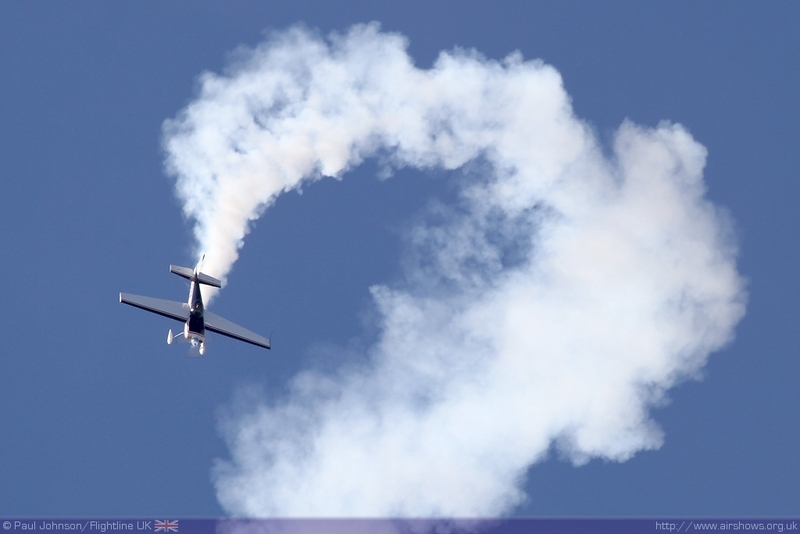 Gerald was due to appear in his brand new Sbach 300 which is the latest generation of unlimited aerobatics machine but sadly that aircraft is being held up by paperwork issues. 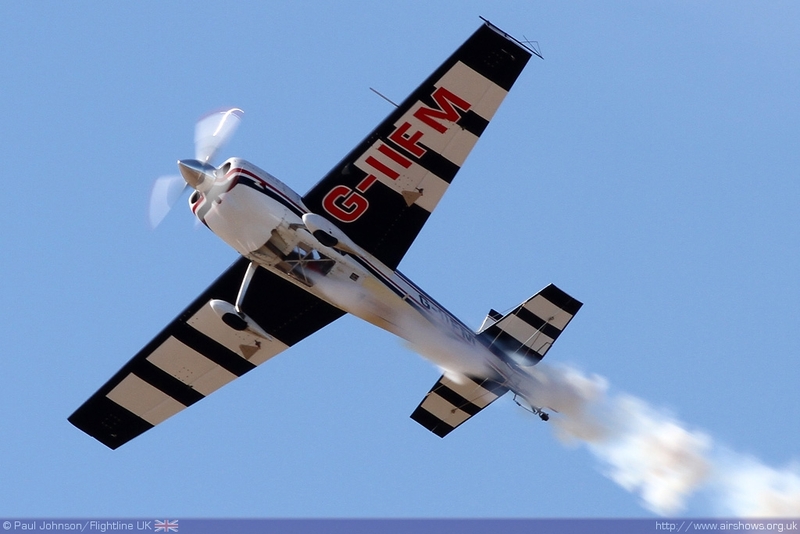 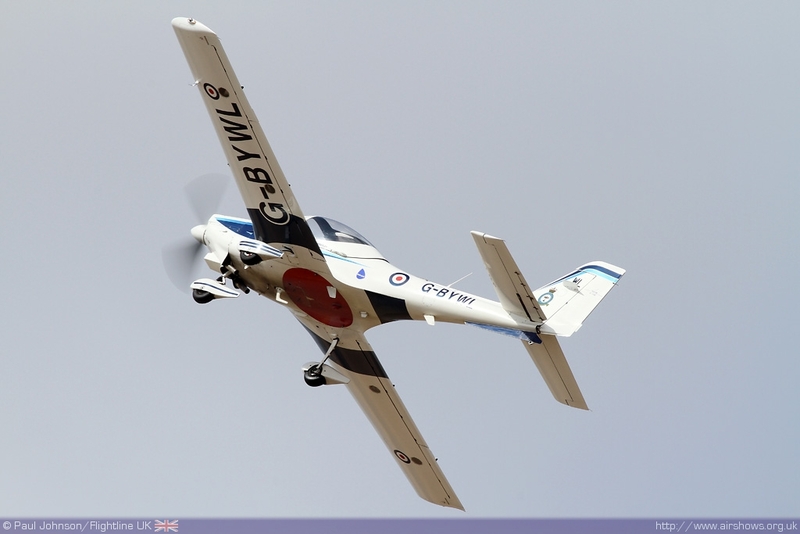 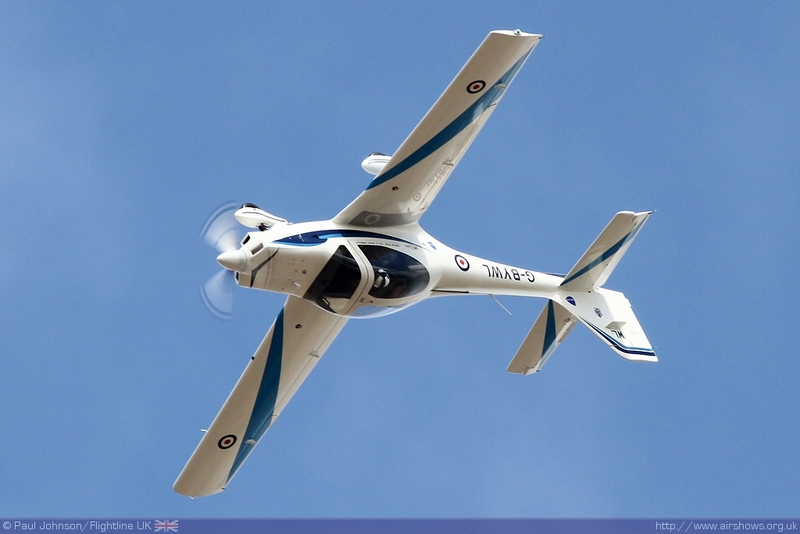 Unpowered aerobatics were represented by the GliderFX Display Team with Guy Westgate flying his usual aerobatic antics in the MDM-1 Fox glider. 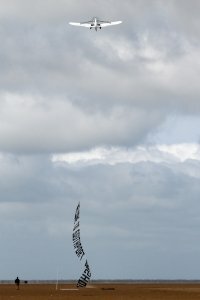 The team also provided a banner tow on each day welcoming the crowds to Southport with their faithful Piper PA25 Pawnee. 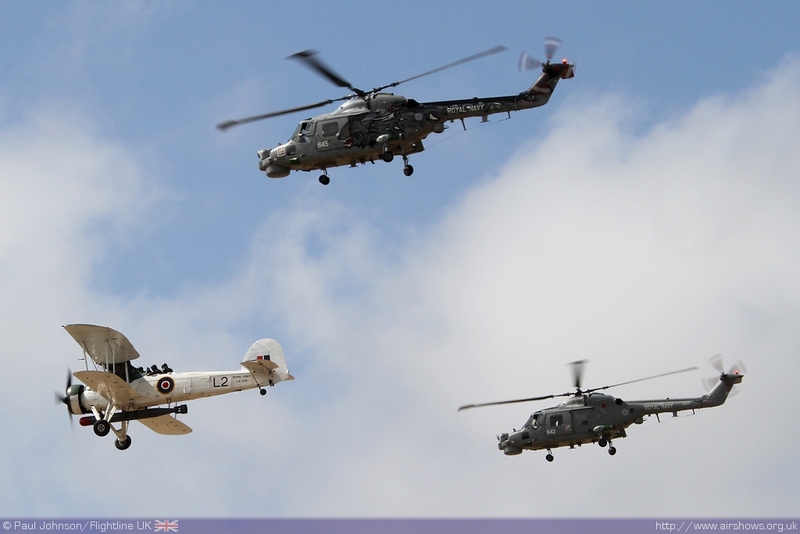 On top of the appearance by the RNHF Swordfish there were a number of historic aircraft in the display. 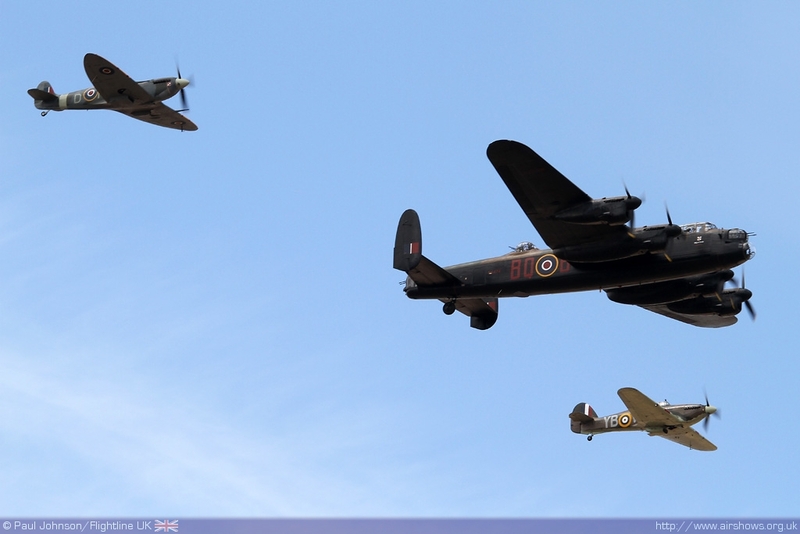 The Battle of Britain Memorial Flight appeared on both days with the Lancaster and the Spitfire Vb. 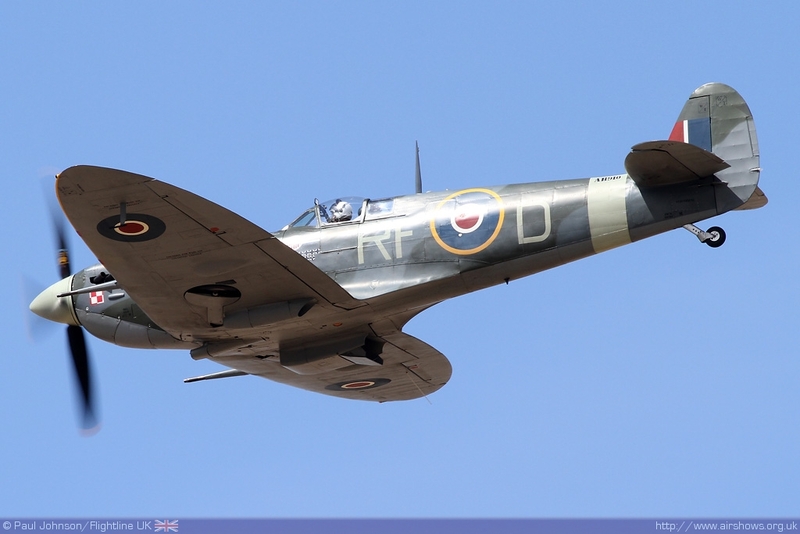 Sunday saw the Spitfire joined by the flight’s Hurricane IIc join the Spitfire for the flights beautiful fighter tail chase display. 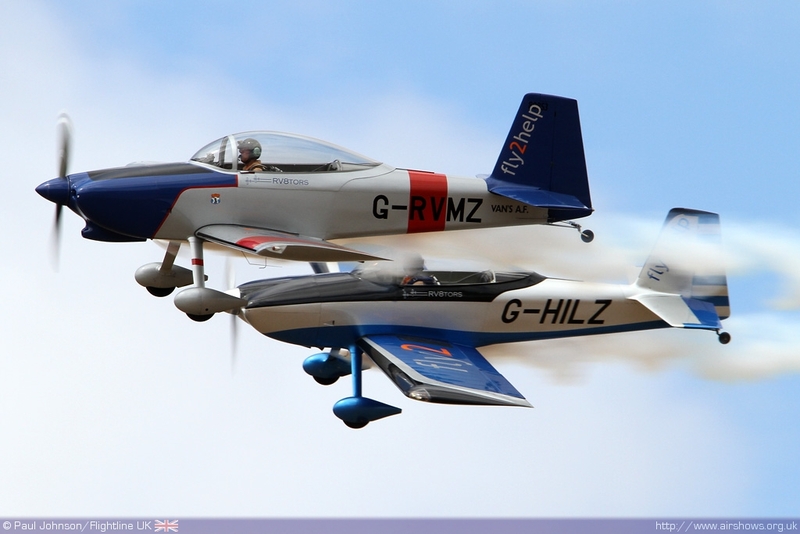 Peter Teichman also provided a pair of his wonderful collection for solo displays during the afternoon. 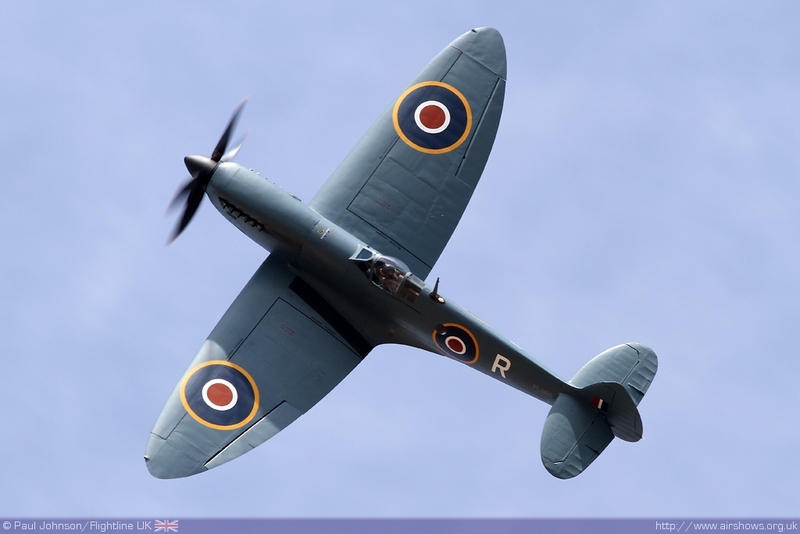 Peter’s Spitfire PRXI was a late addition to the flying display replacing his P-40 which sadly went unserviceable just prior to the show. 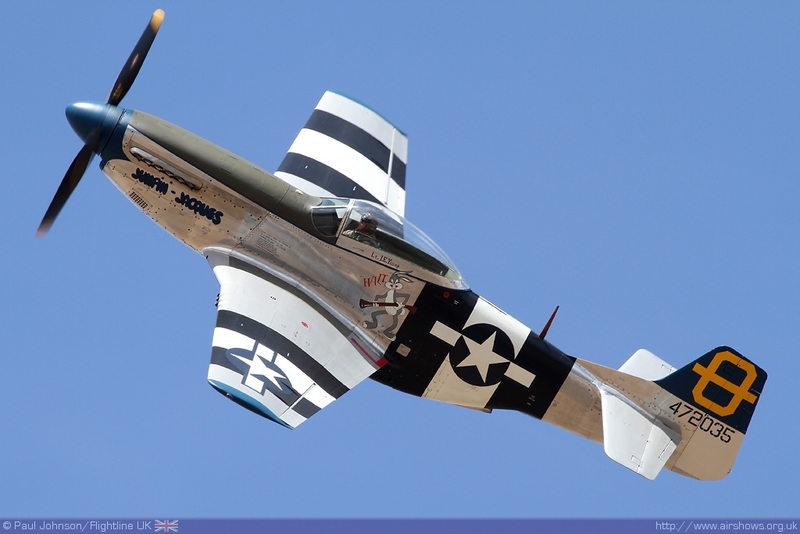 However it was his P-51D Mustang Jumpin’ Jacques which looked absolutely sublime in the gin clear blue skies with the reflections of the sand underneath! 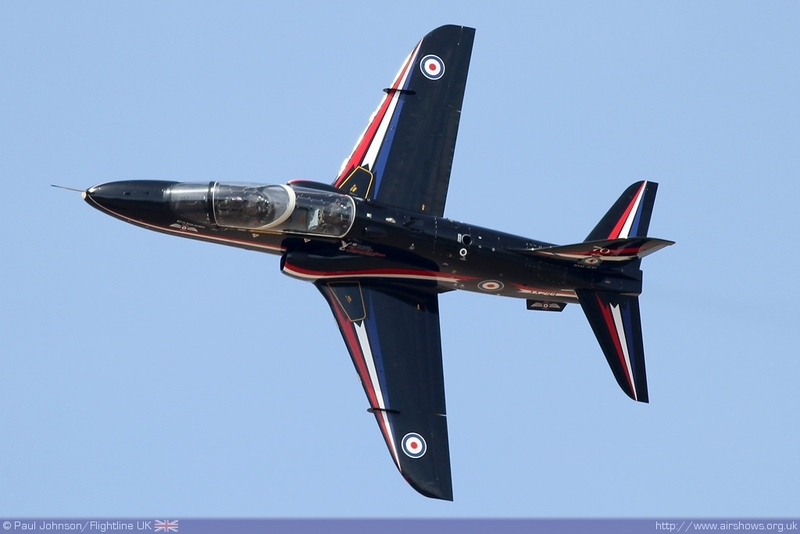 As well as the piston warbirds, Southport has a pair of impressive classic jet displays. 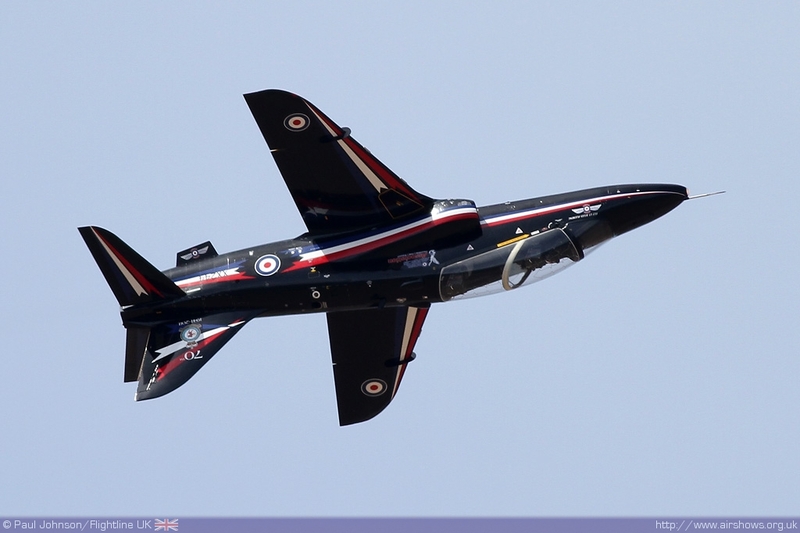 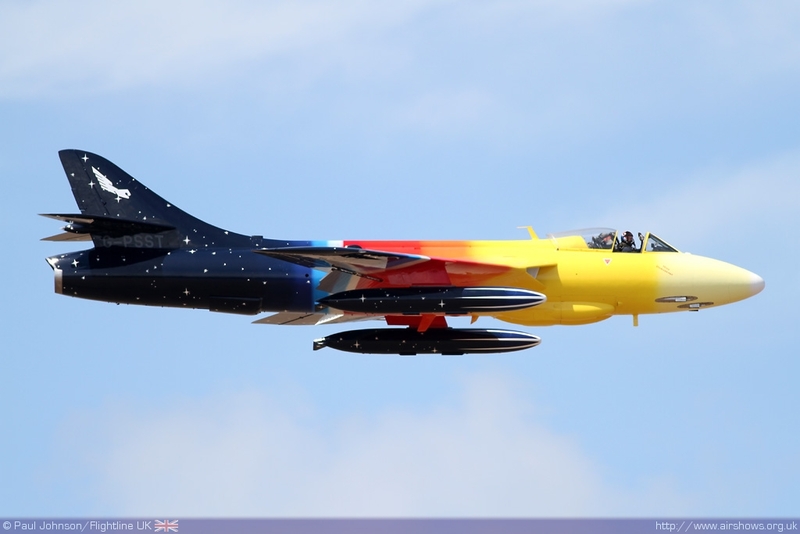 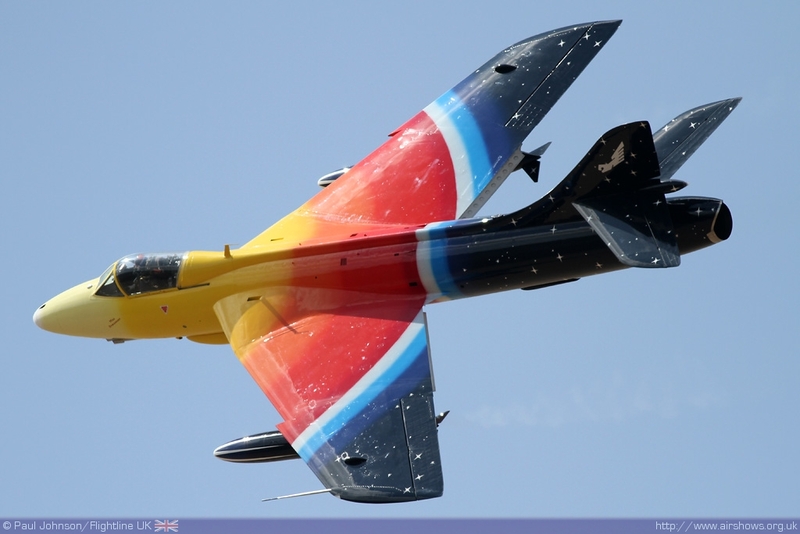 Jonathon Whaley performed two superb displays in his Hawker Hunter F58 Miss Demeanour making full use of the airspace above Southport to show off the performance of Hunter. 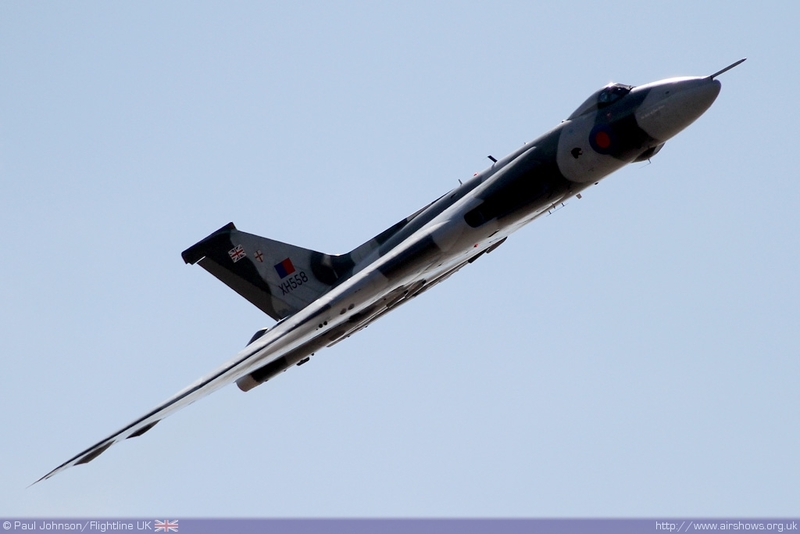 However it was the Vulcan which stole the show on Saturday. 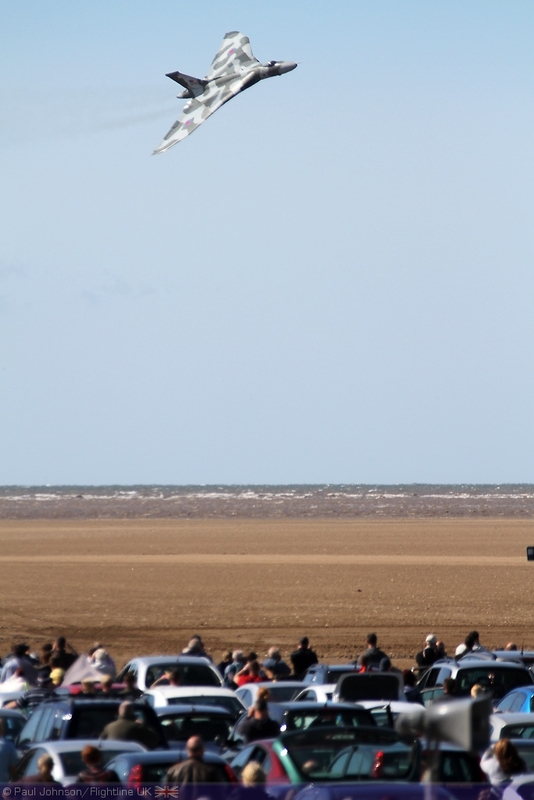 There were some peculiarly more impressive about watching the big delta’s display over the sand rather than an airfield. 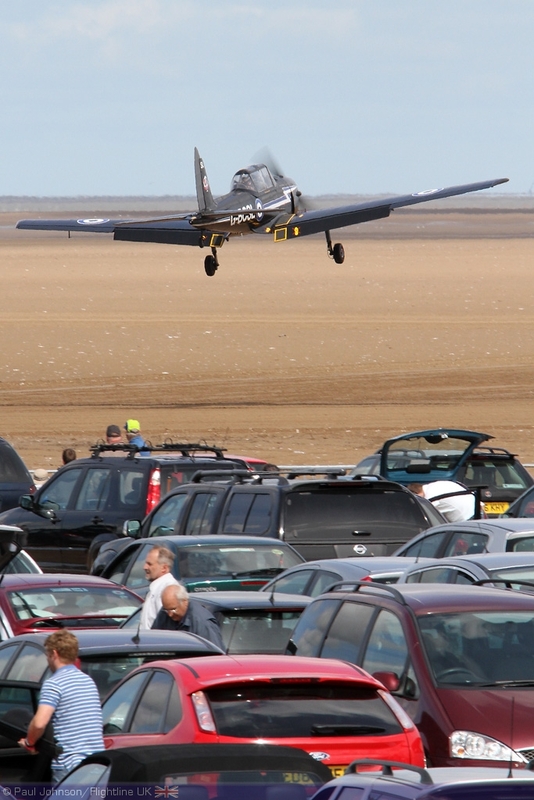 The aircraft is clearly very popular at Southport, perhaps thanks to the types close links to the region and in particular the Woodfood Airfield just down the road.